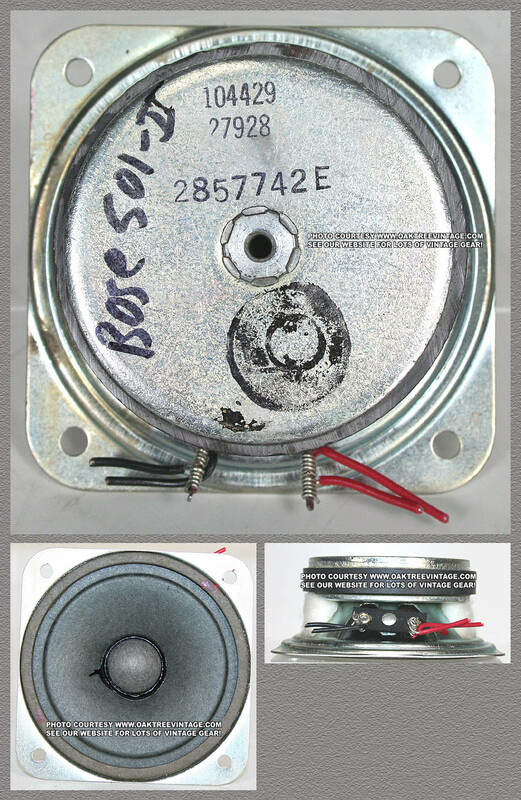 Replacement Bose Speaker parts & Drivers. 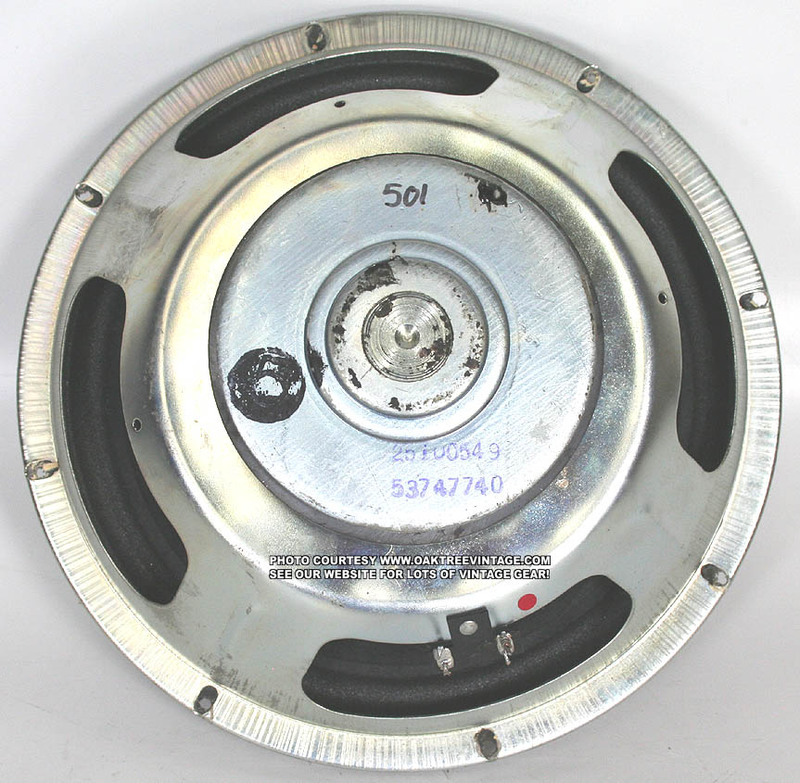 Bose Replacement speaker parts / spares / speakers, drivers, woofers, tweeters, mids, cross overs & Grills / Grates / Screens / Front Covers for 901, 800, 301, 401, 501, 601, 201, 121 original Series I, II, III, IV, V Speaker Parts. Bose Free Space 6 Free Space Speakers for sale. 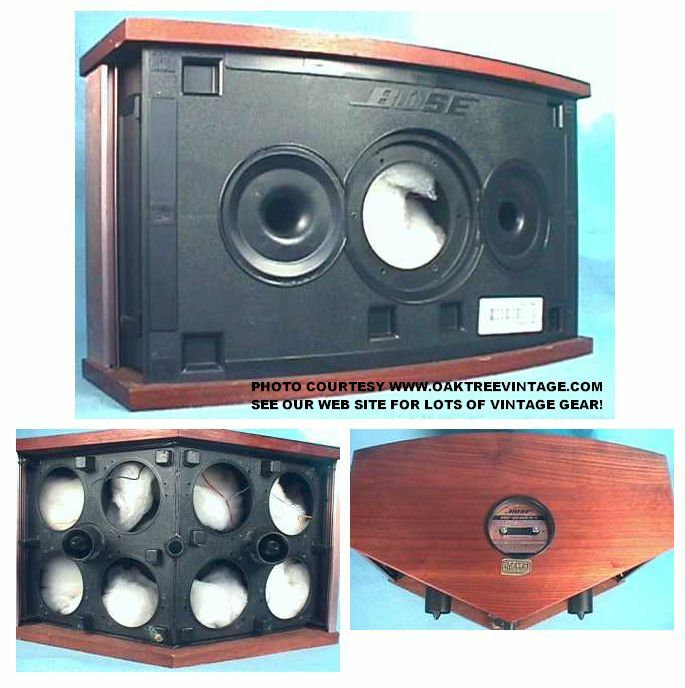 Used Vintage drivers & parts to fit Bose speakers for reference / Data Base / Specifications / Specs when available and occasionally for sale. Also 501 tweeter protection lamps / bulbs / fuses for sale. Surround. Ported, 6" diameter x 6" deep enclosure. 1" tuned port. 6.5" 8 4 Ohms U 6 $59. ea. Good Cond. Use as complete assembly or as a replacement driver for your blown unit. Surround. Ported, 7.5" tall x 6" deep x 3.25" wide enclosure w/ swivel, wall mount bracket. Tuned port. <---- 8 4 Ohms U 2 $59. ea. Good Use as complete assembly or as a replacement for your blown unit. May also be stamped with a "K" 4" - 4 Ohms U 0 Reference info ONLY. Surround 6.5" - 8 Ohms U 0 Reference info ONLY. 8530TNJ 3" / 4-bolt - 4 Ohms U 0 Reference info ONLY. but more MAY occasionally show up. Check back periodically. Good Cond. 8530TNJ 3" / 4-bolt - 4 Ohms U 1 $20. ea. Small repaired hole, but works fine! 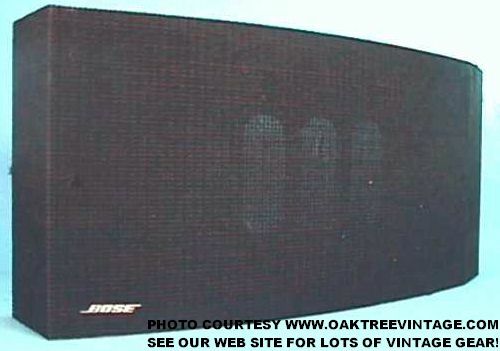 Cloth - - To remove Bose 201 II tweeter / end grill, pry from rear carefully. 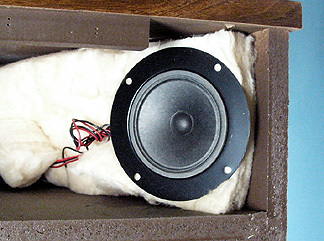 Then "un-wrap" towards front of speaker. Installation is the reverse. U 0 Reference info ONLY. Cloth - - - U 1 $20. ea. Frame split on one side, but presentable and looks fine. Vinyl Left - - U 0 Reference info ONLY. DCR = 6.5 Ohms U 0 Reference info ONLY. 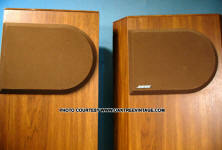 Woofers speakers 111791 8" - 4 Ohms U 0 Reference info ONLY. 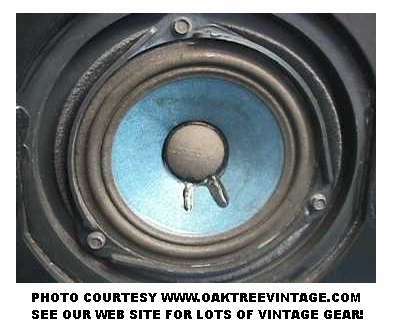 Woofers speakers 181862 ~3" - ? U 0 Reference info ONLY. Tweeters 131011 2" - 4 Ohms U 0 Reference info ONLY. Vinyl Right - - U 0 Reference info ONLY. w/ Mount - Static resistance of 6.5 Ohms U 0 Reference info ONLY. but more MAY occasionally show up. Check back periodically.. Good Cond. WITH BOSE 501-II LOGO Reference info ONLY. 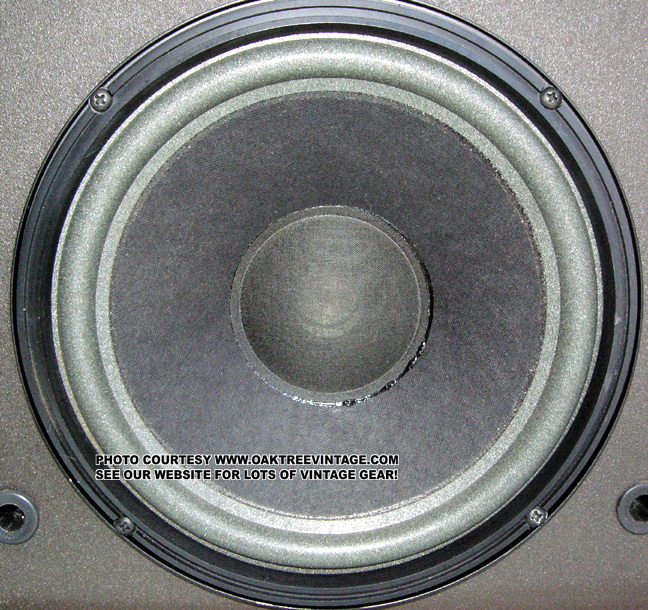 W/OUT BOSE 501-II LOGO Reference info ONLY. Cloth good. Frame has couple minor cracks in the thin strip of Masonite. Two-Tone Brown knit. crossovers cross over x-overs - - - - U 0 Reference info ONLY. but more MAY occasionally show up. Check back periodically. Walnut grain, vinyl wrap finish. 2nd version with stripped Grills / Grates / Screens / Front Covers and Mylar, shiny label. 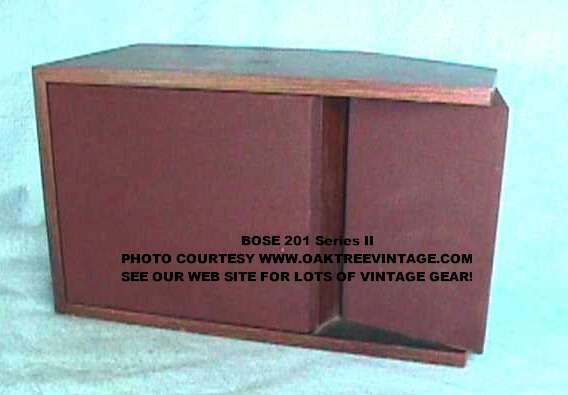 May fit other Bose products from that era as well. For series III or later, you will need to solder on leads. Tweeter protection Fuses / lamps / bulbs. 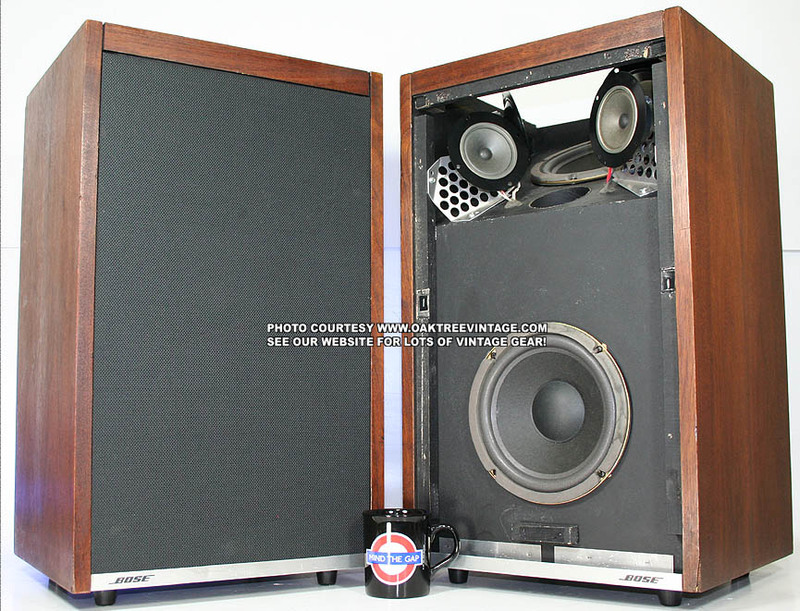 If your 501 Series I, 2nd version of the original series tweeters are not working, this is likely the culprit. These are for the version with the vertically stripped Grills / Grates / Screens / Front Covers and the shiny Mylar label, and not the version with burlap Grills / Grates / Screens / Front Covers and the paper "Syscom" label. - - - - U In Stock $20. for a pack of 4 lamps. 2 to use now and 2 as a spare. Style 'B' is what we are shipping. Makes no technical difference. Style 'B' is easier to solder in if needed. New. 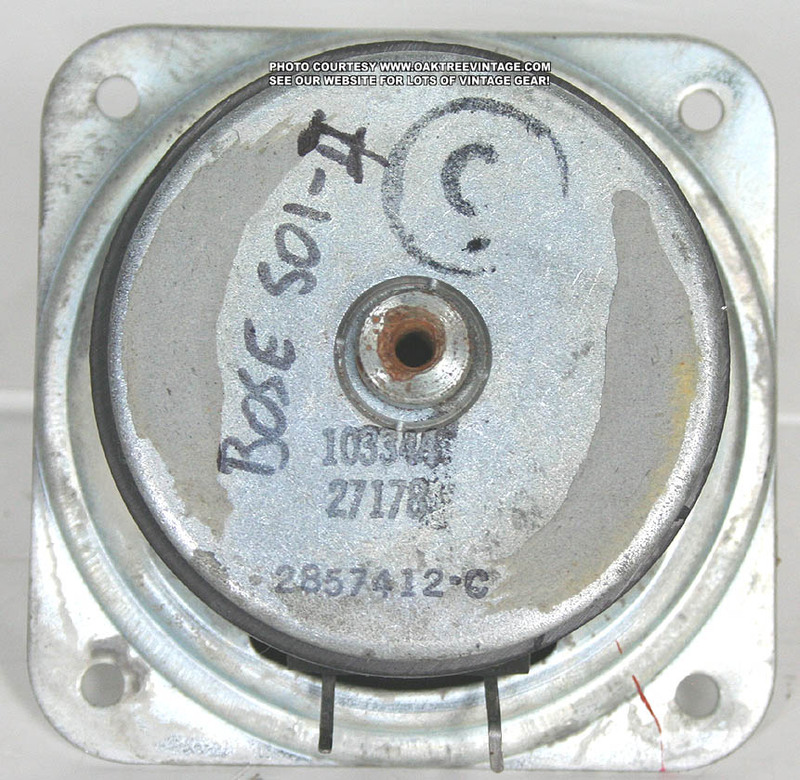 or 103344 or 104429 3"
w/ Mount - DCR = 8.7 Ohms U 0 of 103344 Reference info ONLY. Here is a modification we did to a 501-II speakers. One of the earlier series. We have always found them to be 'muffled' or muted sounding in the top end. This is primarily due to both tweeters firing 'backwards'. That is the 'Reflecting' aspect of the design. We have found the preferred sound to be considerably more 'direct' in the highs. We simple removed one of the rear firing tweeters, and moved it to the front of the cabinet. The space is Good Cond. for mounting with two screws and the 'cutout' in the grill backer board is in the correct spot. In our opinion, this greatly improves the sonics of this model for most people that have heard them post modification. 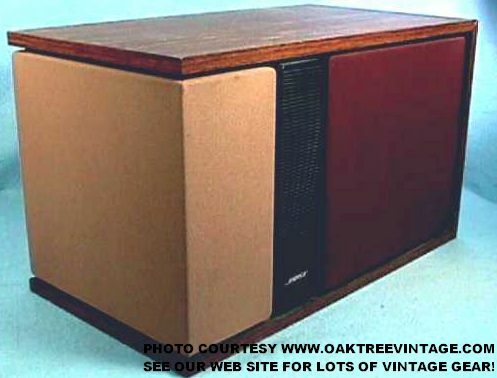 We think it makes the speaker much, more 'listenable' and is essentially what Bose did for the later series versions. DCR = 5.8 Ω U 0 Reference info ONLY. 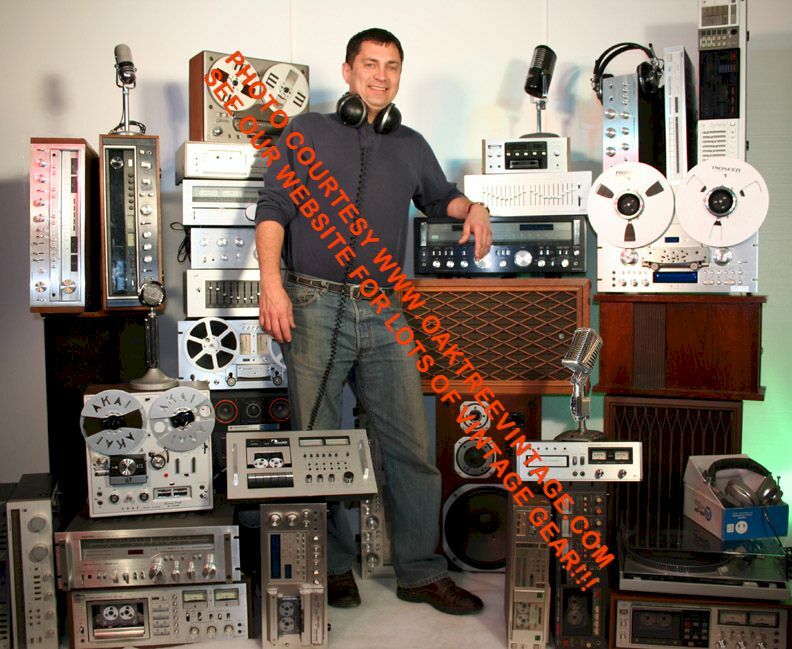 DCR = 3.1 Ω U 0 Reference info ONLY. 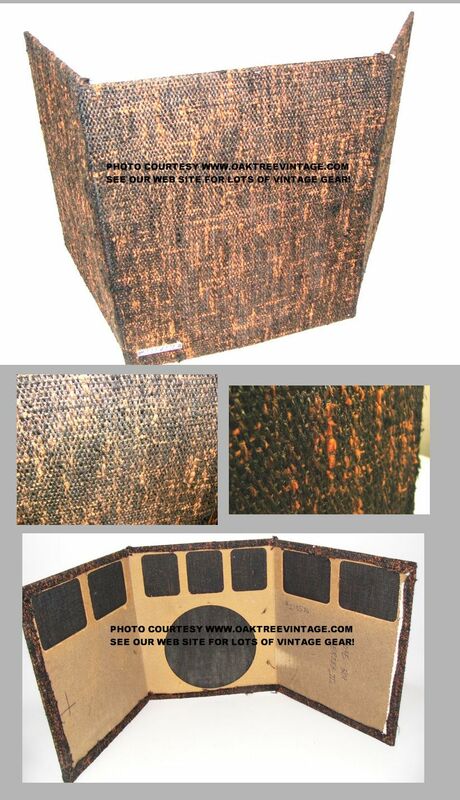 grill / Grills / Grates / Screens / Front Covers - - - - U 0 Reference info ONLY. crossovers cross over x-overs - - - - U 1 $45. ea. Walnut grain, vinyl wrap finish. V 5 Tweeters 147525 - - 6 ? Ohms U 0 Reference info ONLY. V 5 Tweeters 9411TP1 - - 6 ? Ohms U 0 Reference info ONLY. DCR = 11.2 U 0 Reference info ONLY. or $95. ea w/ new surrounds. (Quantity discount does not apply to 're-foamed' drivers.) Dusty and need new foam surrounds, but would then be fine. Voice coils good. DCR = 11.2 U 1 $45. ea. (Quantity discount does not apply to 're-foamed' drivers.) Dusty and need new foam surrounds, but would then be fine. Voice coil good. DCR = 7.0 U 6 $45. ea. Good cond. I Front Grills / Grates / Screens / Front Covers - - - - U 0 Reference info ONLY. I Top Grills / Grates / Screens / Front Covers - - - - U 0 Reference info ONLY. I Cabinet - - - - U 2 $85. ea. Decent w/ crisp edges and corners. Minor surface scuffs that lemon oil will hide. I Lower Aluminum trim strip - - - - U 1 $35. ea. Decently clean. I Crossover - - - - U 2 $45. ea. Working. 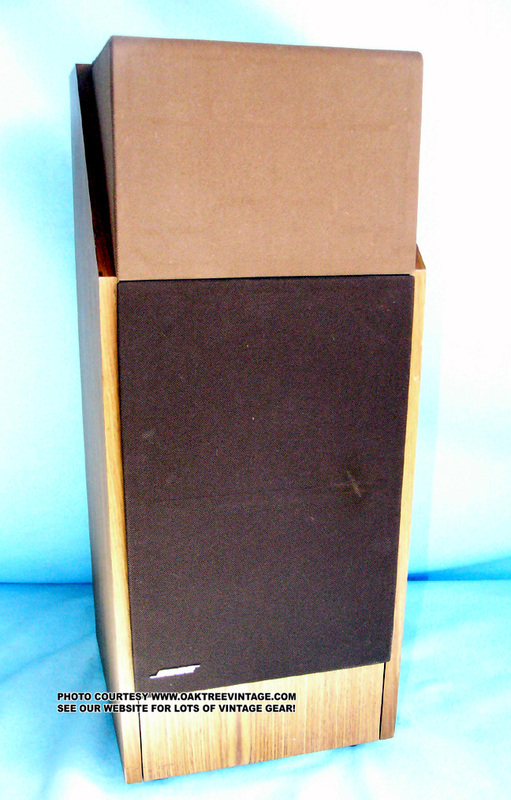 speakers 111791 8" - 4 Ohms U 0 Reference info ONLY. w/ Mount - 4 Ohms U 0 $35. ea. grill - - - - U 0 Reference info ONLY. 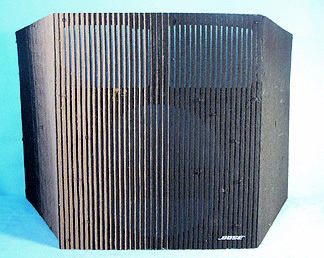 vent Grills / Grates / Screens / Front Covers - - - - U 0 Reference info ONLY. May fit others Tweeter Protection Lamps Stainless steel leads that are spot welded on. These are cut about 1" so will need another method of re-attachment. - - - U 4 $20. pr Good Cond. May fit others Crossover - - - - U 0 Reference info ONLY. Require 7" mounting hole - 4 Ohms U 0 Reference info ONLY. but more MAY occasionally show up. Check back periodically. Good voice coil. New Foam. Looks decent. Grills / Grates / Screens / Front Covers - - - - U 0 Reference info ONLY. 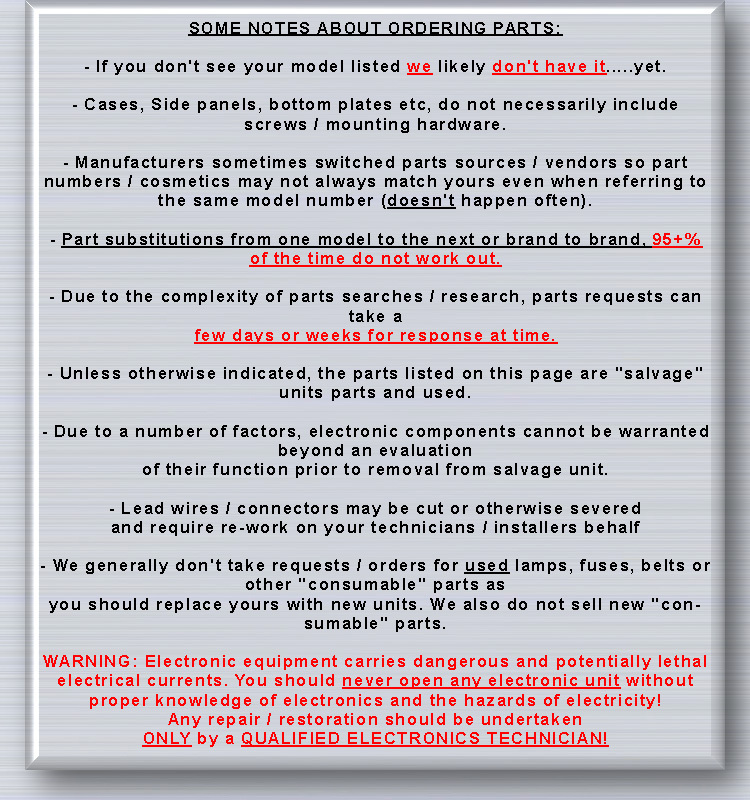 May fit others Replacement Front grill - - - - U 0 Reference info ONLY. but more MAY occasionally show up. Check back periodically. Good Cond.. Brown knit. but more MAY occasionally show up. Check back periodically. Oak Wood veneer finish. Very dried out. Should be re-finished. Structurally solid. Rated @ 8 Ohms U 5 left In Stock $65. ea. Original, and working great! Some will have new replacement dust caps. 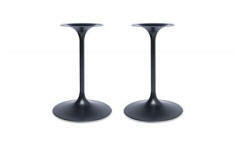 Steel 'Tulip Stands' in Satin Black Bose 901 'Tulip' Speaker Stands ~18" tall BLACK SATIN N/A U 0 Reference info ONLY. Very good quality, 're-finish' in 'Satin' Black. No dents or finish chips. 4- Bolt. Steel Frame, Square magnet. Hole centers diagonally 4 5/8" - - U 0 Reference info ONLY. 4- Bolt. 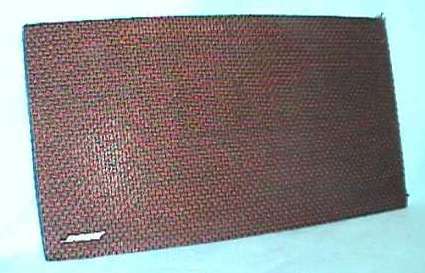 Steel Frame, Round magnet. 1.75 lbs - 1 ohm rating w/ DCR of 0.5Ω U 0 Reference info ONLY. but more MAY occasionally show up. Check back periodically. Drivers good but foam surround will need to be replaced. 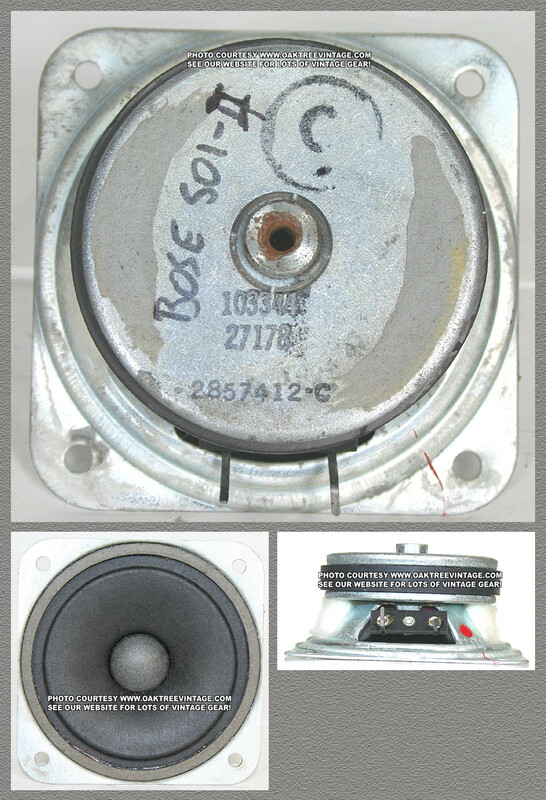 There are many "do-it-yourself" re-foam kits out there available for Bose 901 drivers. They have proven very difficult to successfully re-foam and then have them sound "clean". assured the one's we have available are 100% ready! ment Grills / Grates / Screens / Front Covers - - - - U - Reference info ONLY. Port Bezels - - - - U 0 Reference info ONLY. May fit series V as well. Check model number for. 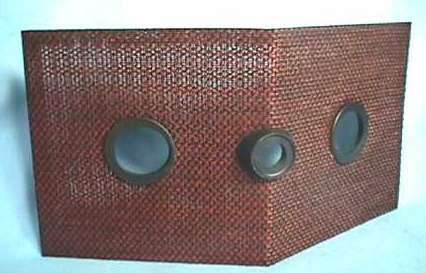 Also fits Bose Wave Radio, Model AW-1 / AW1. 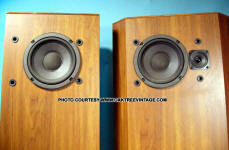 May also work in the PRO / PA series speaker, 'Acoustimas' Professional Speaker System. Not sure of impedance of the drivers at this point though. We do not know what other, if any models besides the above that it might fit. We do know these will NOT work in the Bose model 151 for outdoor use as these drivers are 1 ohm rating w/ DCR of 0.5Ω even though the part number on the back of the driver is the same. May also be stamped with a "J". Surrounds installed for years of trouble free service! We can either install foam (typically good for 12-15 years) or coated cloth (good indefinitely). If the balance of your drivers are foam, then you should order with foam surrounds. If it is for a 'pro' application and / or the balance of your drivers are cloth, then order with cloth. Good Cond.. Plastic trim / bezels sold separately. May fit series VI as well. Check model number for. May also be stamped with a "J" 4"
Good. Small 1.5" tear in center. Not distracting. Cabinet - - - - U 0 Reference info ONLY. 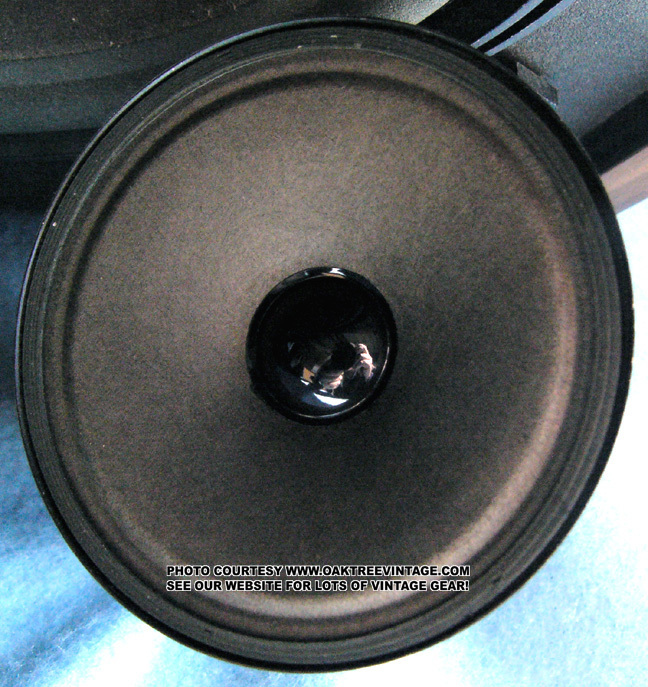 BOSE 2004 CHEVY TAHOE BOSE TWEETER / SPEAKER Tweeter 15054683 ~2" - - U 0 Reference info ONLY. 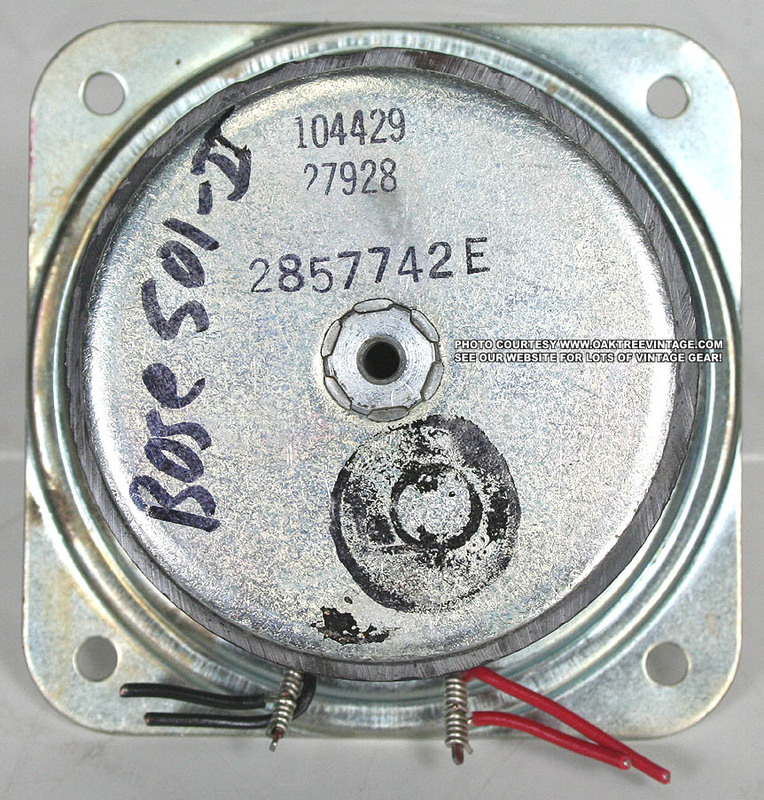 BOSE Honda Acura Bose SPEAKER ASSY . 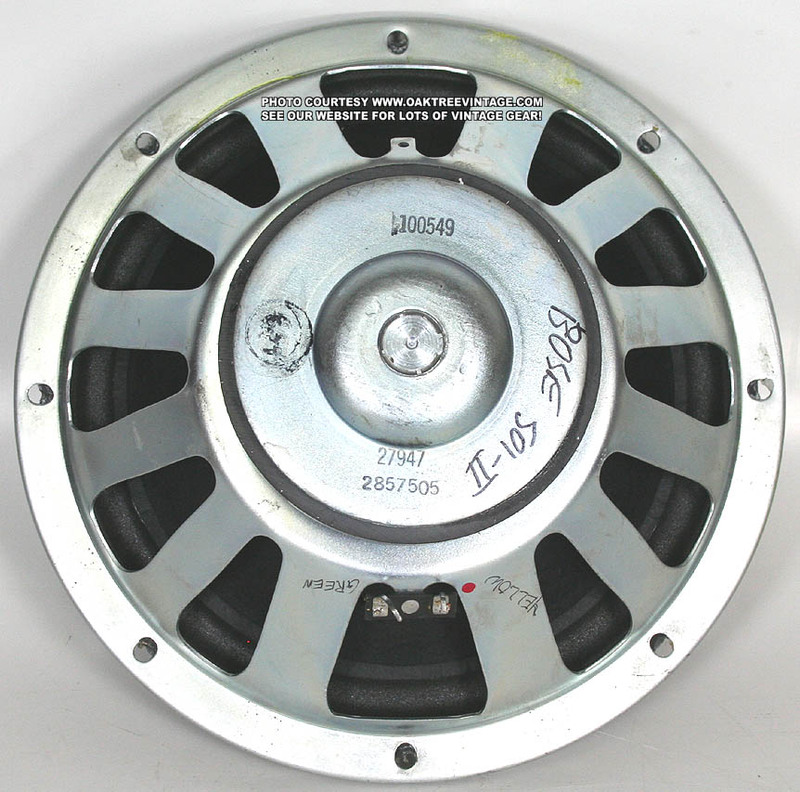 NSX MDX OEM Bose tweeter 2001-03 Acura MDX 1991-2005 Acura NSX Tweeter 39129-SL0-003 ~2" - - U 0 Reference info ONLY. DCR = 0.7-0.9 Ohms U 0 Reference info ONLY. 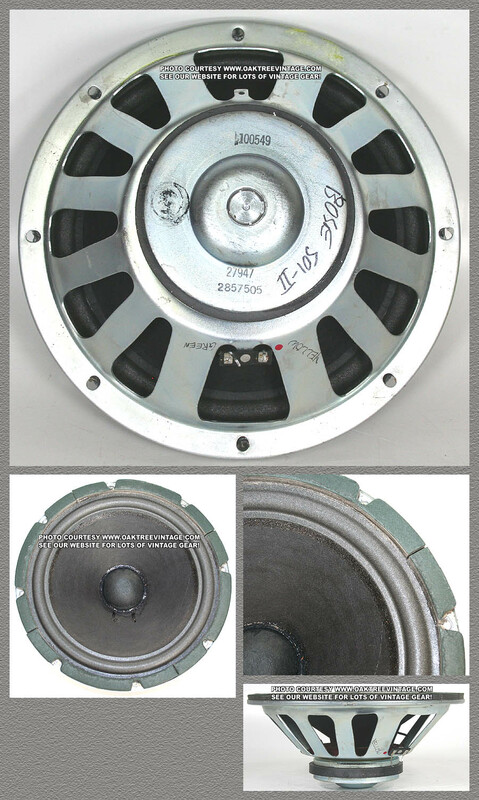 Tweeter 15054683 ~2" - - U 0 Reference info ONLY. ~2" - ? U 0 Reference info ONLY. 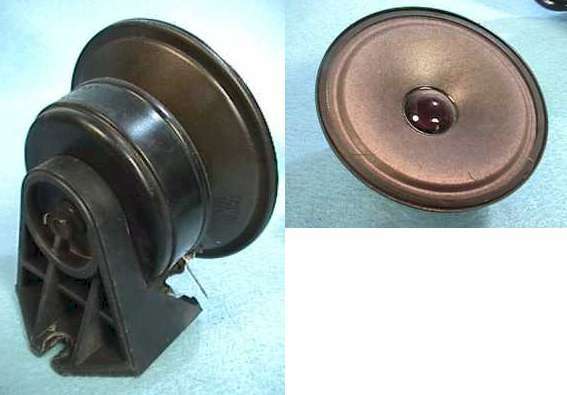 Tweeter 28148-CG001 ~2" - ? U 0 Reference info ONLY. 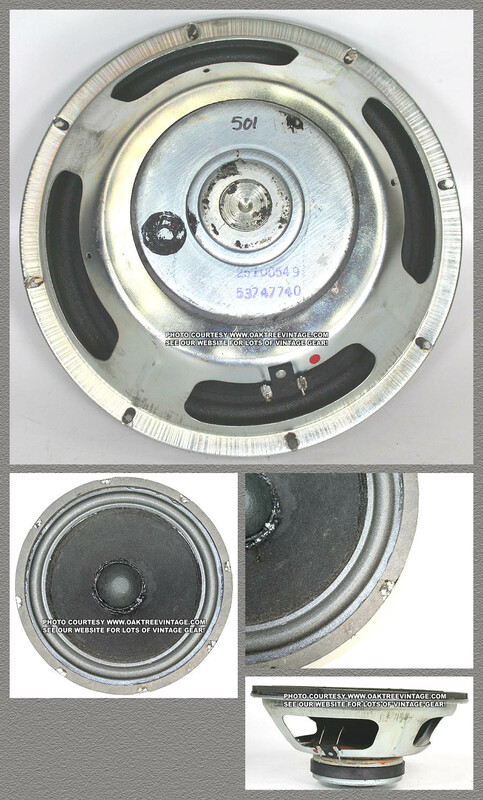 Tweeter 28176 CR910 ~2" - ? U 0 Reference info ONLY. 283160-001 ~2" - ? U 0 Reference info ONLY.